Wouldn't it be nice and sweet to name your Valentine? 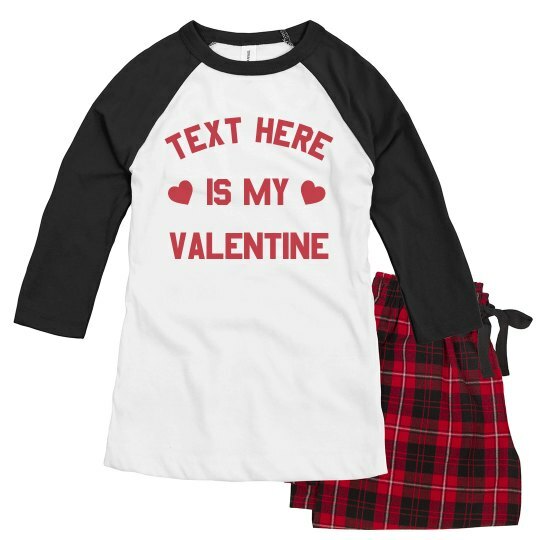 Customize this shirt by adding in the name of your favorite Valentine! Single? Not a problem! You may add words like "chocolates", your favorite character, your car's/pet's name, or whatever it is that makes you feel loved and happy! Happy Valentine's indeed!